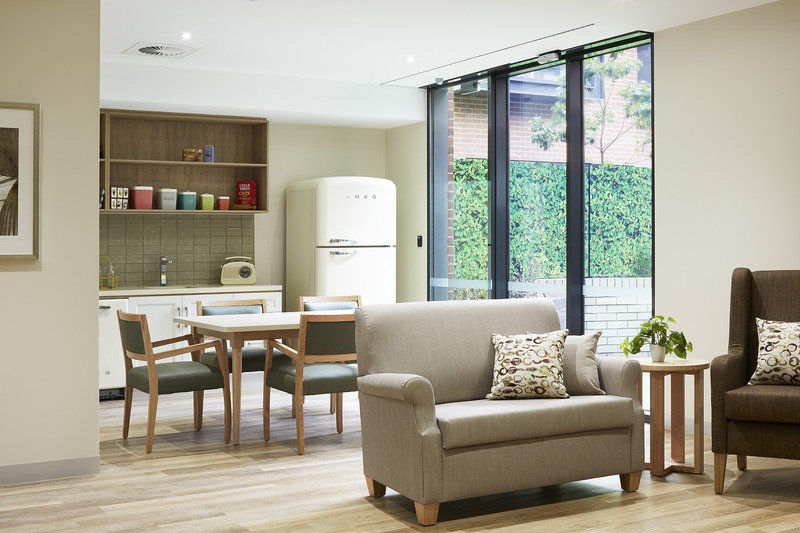 A high quality home-like aged care residence, thoughtfully designed to promote wellness and healthy ageing. 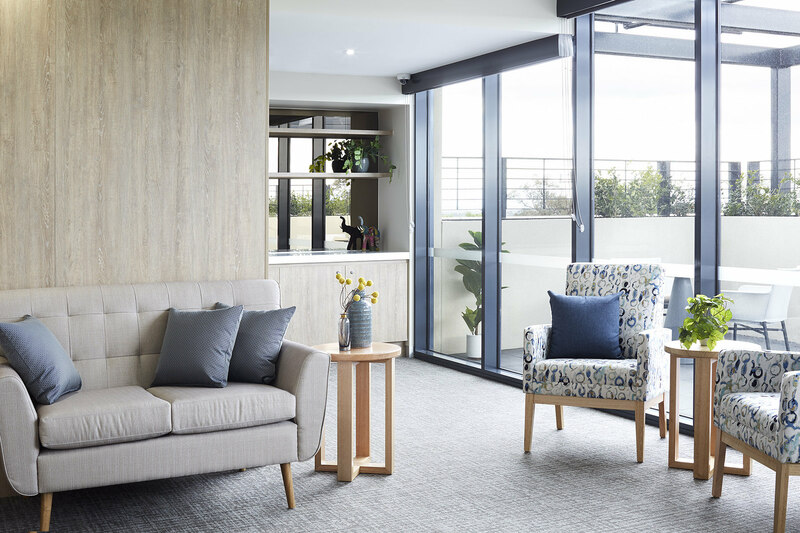 Comprising the development of a three-storey building, the new design enhances the living environment for residents through a variety of generously sized room designs that start from 20sqm and each include a private ensuite. 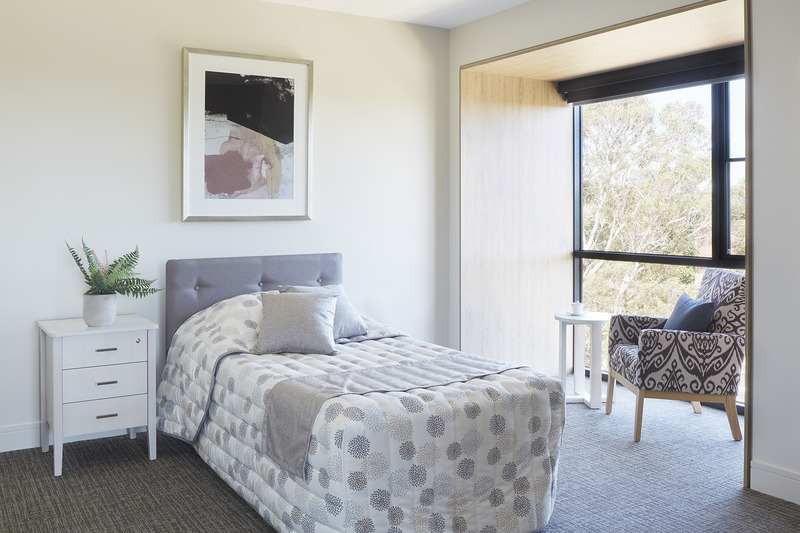 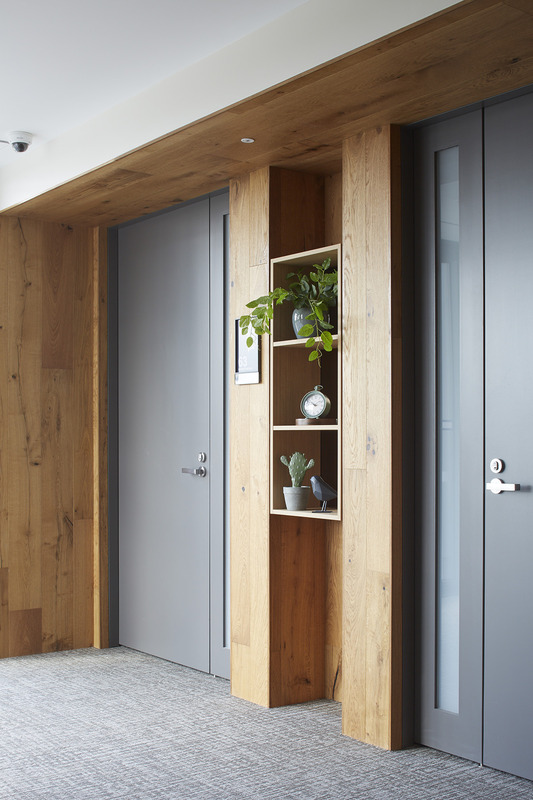 The residences have all been designed to provide ample daylight, natural ventilation and a strong connection with the outdoors. 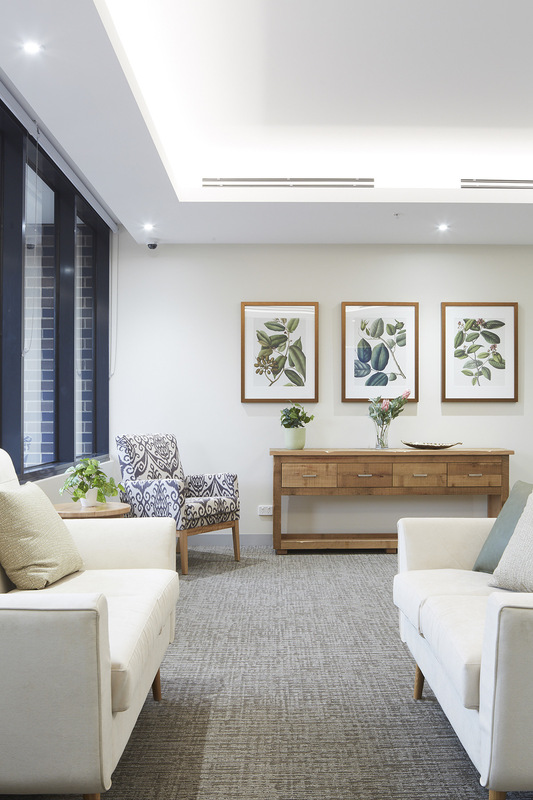 A reconfiguration of the layout resulted in improved amenity for both residents and staff with enhanced shared communal spaces, maintaining a functional and practical design to facilitate efficient staffing in all aspects of operation. 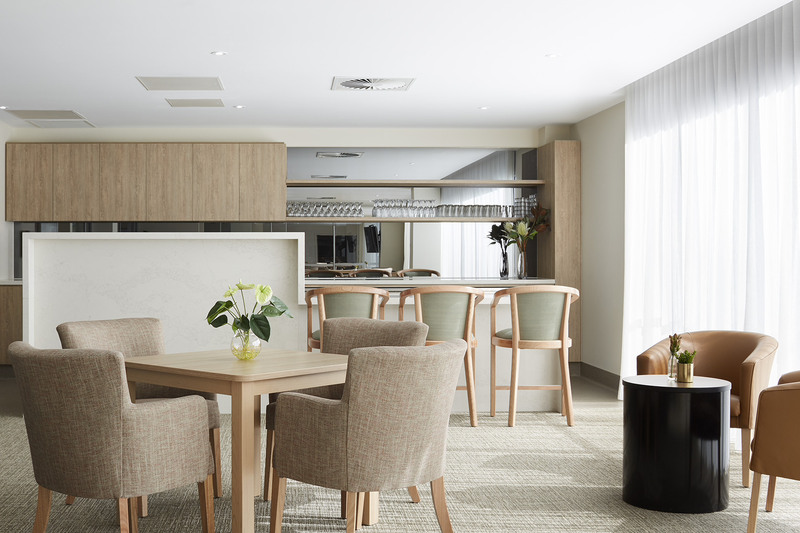 While efficient staffing was key, maintaining a residential feel with a 4.5 star hotel quality was also vital. 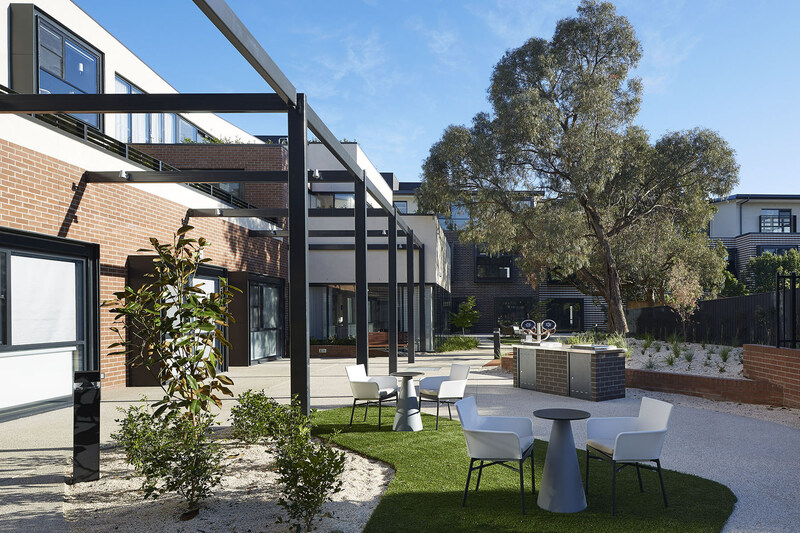 A retail “street” environment is centrally located to provide a sense of activity and engagement, as well as a cinema, café and outdoor terraces. 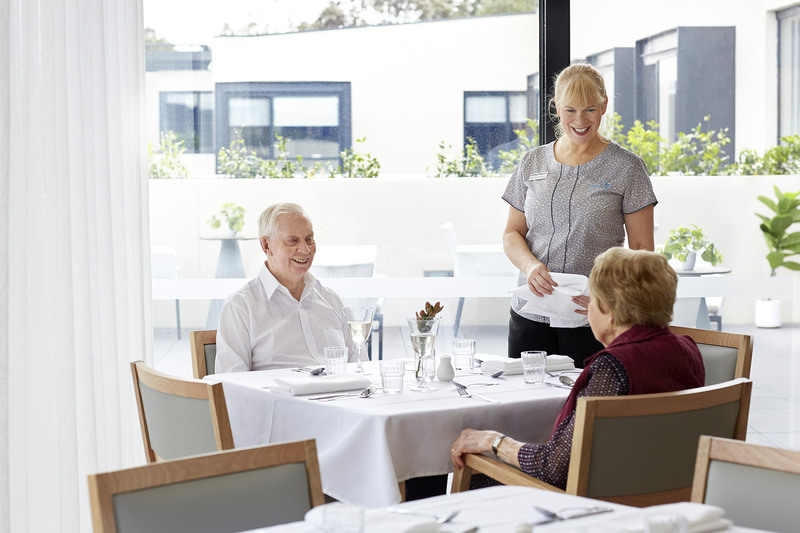 The development will cater for Veterans, people from non-English speaking backgrounds, people who are culturally and linguistically diverse and people with dementia for which the BlueCross specialist STARlife dementia program provides a purpose built secure environment, with modifications to enhance lives. 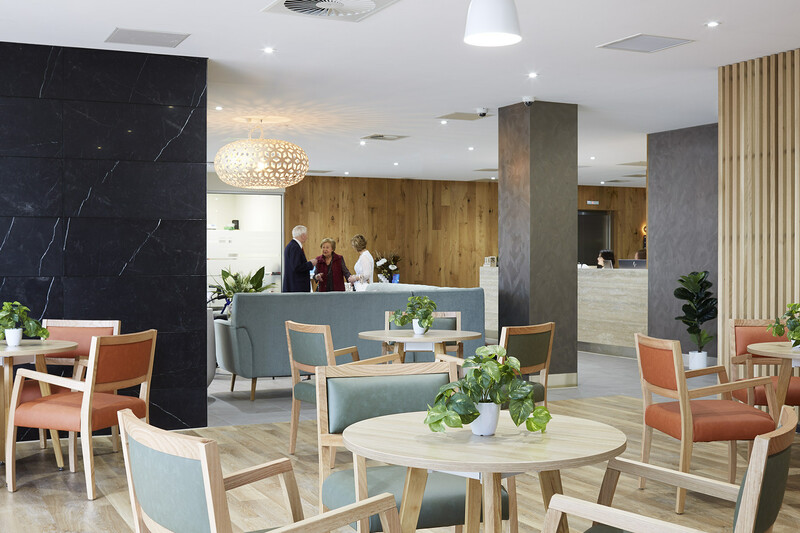 The design, décor and amenity of the facilities have been chosen for their understated quality, with a warm, rich and inviting ambiance as well as being culturally appropriate where necessary. 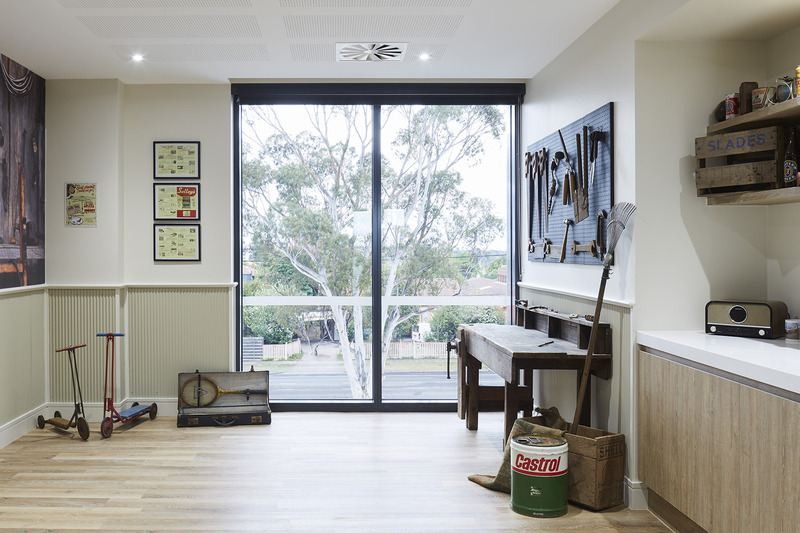 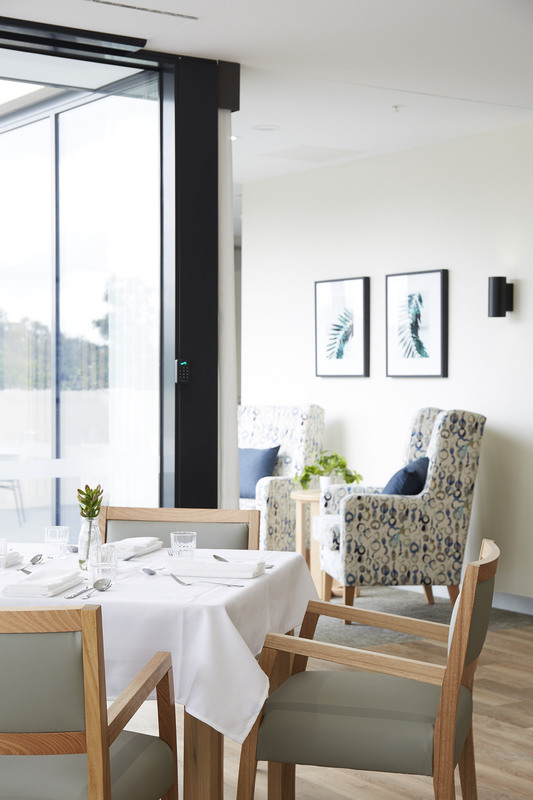 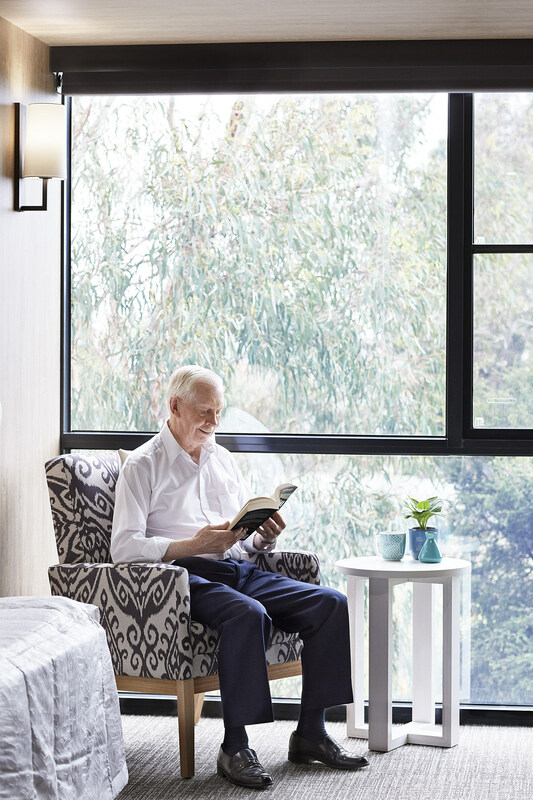 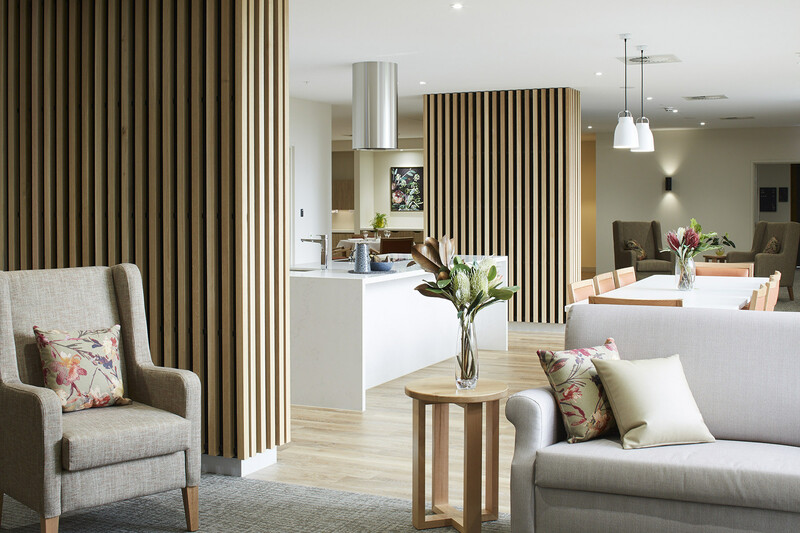 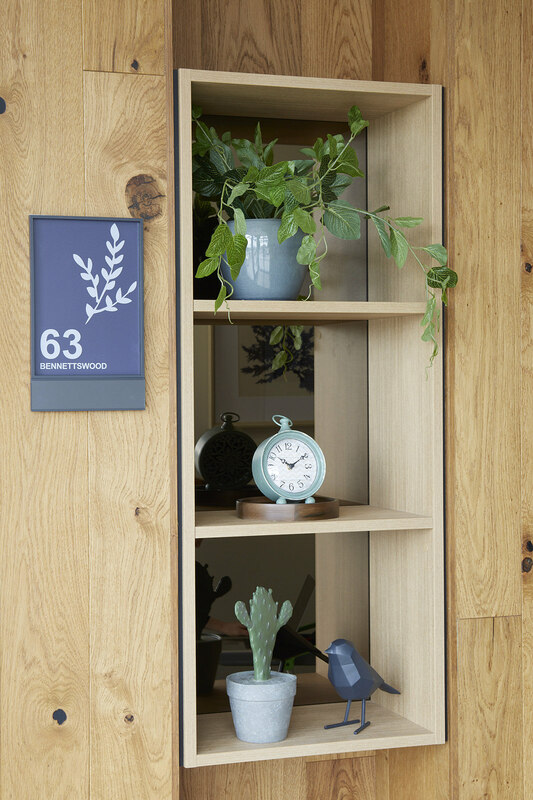 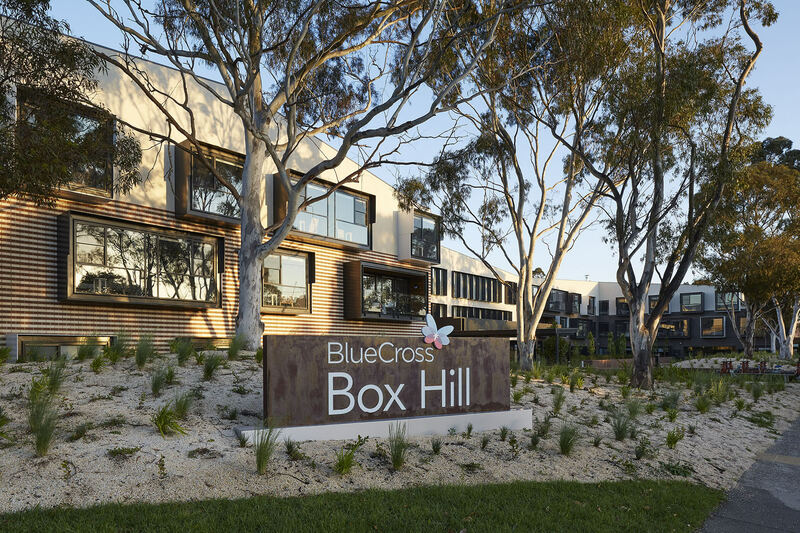 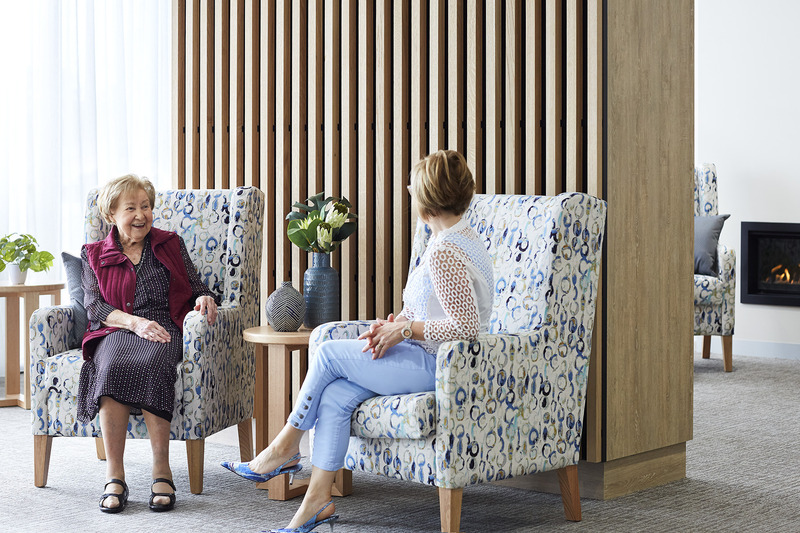 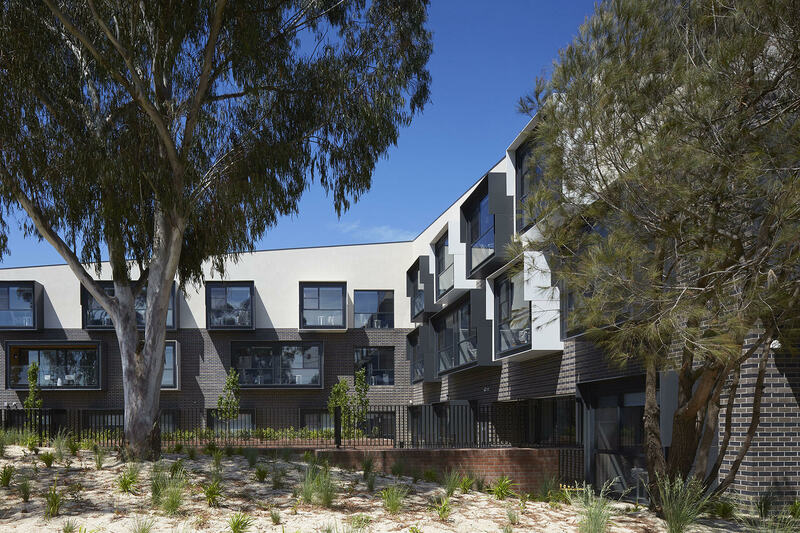 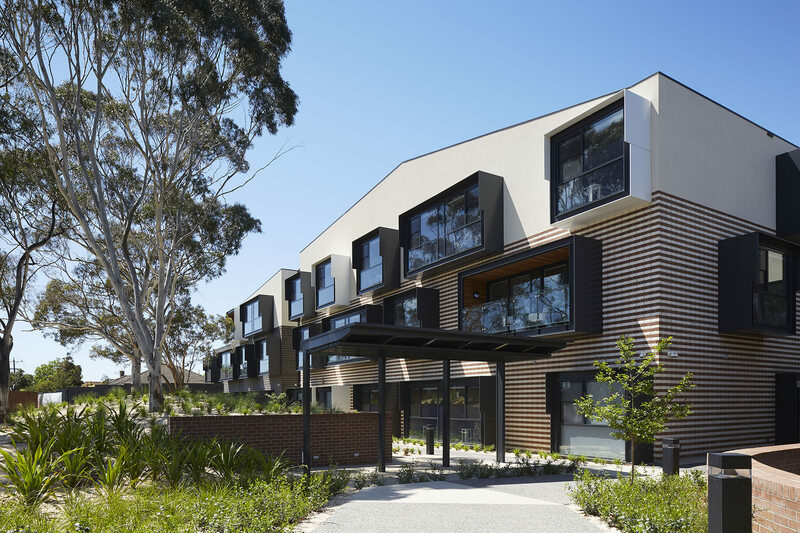 Meticulous planning and attention are the hallmarks of BlueCross’ Springfield aged care residence in Box Hill. 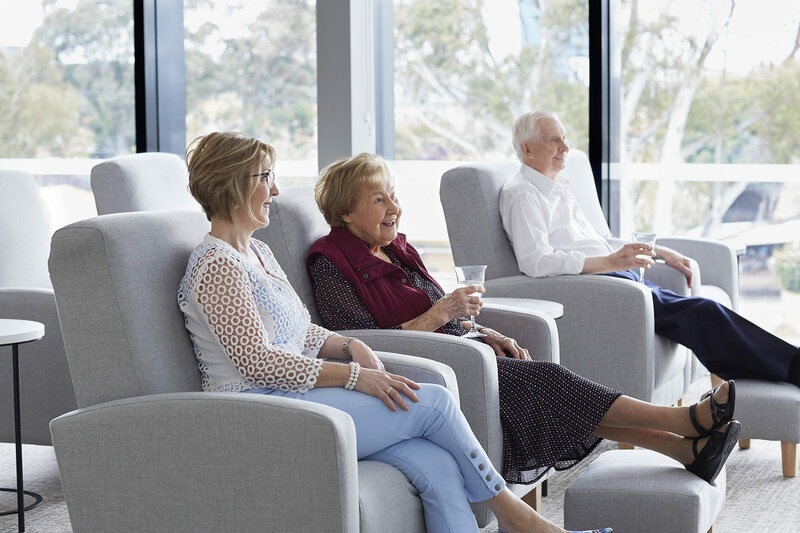 Our aim is to constantly build on past successes so that the level of service and care provided to residents and staff welfare can be further improved.